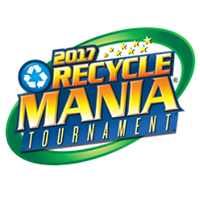 RecycleMania is a friendly competition that promotes recycling and waste reduction efforts on college and university campuses across the U.S.
Over an 8-week period each spring, colleges across the United States and Canada report the amount of recycling and trash collected each week. 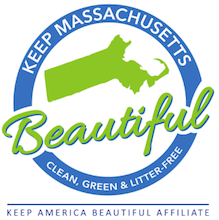 They are then ranked in various categories based on who recycles the most on a per capita basis, as well as which schools have the best recycling rate as a percentage of total waste and which schools generate the least amount of combined trash and recycling. 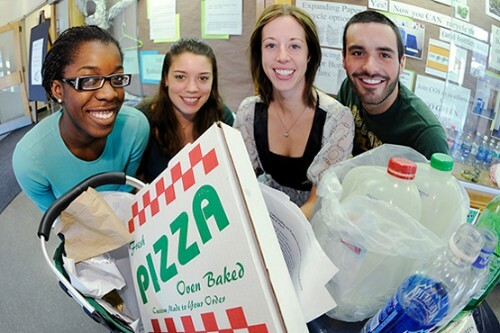 With each week’s updated ranking, participating schools benchmark their performance against other colleges and use the results to rally their campus to reduce and recycle more. National recognition is provided to the winning school in each category on the RecycleMania website and in a national press release. Winning schools receive an award made out of recyclable materials, and win the right to host that category’s special traveling trophy for the coming year. Encourage fair and friendly competition.